Tamizh culture is one of India’s most ancient and vibrant cultures. From its sophisticated literature to beautiful music and dance, to its intricate artwork and ancient martial arts, Tamil Nadu’s high culture and folk culture are second to none. We briefly discuss below, the various dimensions of Tamizh culture, which has remained an integral and unbroken part of Indian heritage over several thousand years, and continues to majestically represent the best that India has to offer. Tamizh Kalacharam (culture) maintains its distinctiveness within India’s grand narrative as an open architecture that harmoniously co-exists with the neighboring sister cultures of Telugu, Malayalam, and Kannada, as well as Sanskriti, embodying India’s ‘unity within diversity’. In , we learn that the “south forms an integral part of India’s cultural continuum in time and space: distinctiveness is not separateness.” Similarly, the Tamizh cultural narrative can itself be viewed as a bouquet of several distinct sub-narratives, a description of which would occupy several books. The safety net of dharma civilizational unity  allowed a plurality of cultures to coexist in India without anxiety between these decentralized alternatives, obviating the need to create and maintain a central, externally enforced monoculture. This unity shows up in all dharmic perspectives, including India’s art, music, dance, economics, science, literature, cuisine, etc, and is therefore a key concept to keep in mind when comparing an Indian cultural narrative with an instance from an Abrahamic or western culture, or while contrasting Indian versus western classical art forms. Thanks to dharma, we are able to celebrate an astonishing diversity in every single field of human endeavor in India – be it literature, art, fashion, music, or cuisine. This is also a key reason why Indian and Tamizh culture has continually survived and thrived for several thousand years. Prior attempts by alien, adharmic systems to take advantage of Indian pluralism, and inject any exclusivity that destroys this pluralism were thwarted by its peoples. To this day, the Tamil populace retains elements of this decentralized structure. Learning and understanding this Tamizh kalacharam and dharmic heritage is critical for future generations, so that this inclusive diversity can be preserved in the future too. Brief glimpses of its high culture are presented in the sections below. Interested readers are encouraged to use the references at the end of this page to do their own research and learn more about each of these topics. To properly understand Tamizh culture, one must recognize not only the love for our Thaai Mozhi, the Mother Tongue, but also celebrate how Tamizh and Sanskrit grew side-by-side and sustained each other for more than two thousand years. The origins of தமிழ் (Tamizh) are ancient with inscriptions dating back to more than 2500 years prior to current day. The earliest works can be found in the Sangam literature , as well as the several dharmic works (Shaivite, Vaishanvite, Jain, etc.) that have been written in Tamizh. Today, it is an official or legal language of multiple countries besides native India, including Singapore, Malaysia, and Sri Lanka. A justifiable source of pride to the Tamizhs is that theirs is an ancient language of India that was spoken by Sage Agastya and Shiva that is living and thriving to this day. Agastya’s wife, Lopamudra is considered to be a teacher of Mother Sita. Rama, Lakshmana, and Sita visited Agastya’s hermitage during their forest exile. Thus, Tamizh is an important dharmic language of India, and some consider Tamizh to be a sacred Yogic language along with Sanskrit, and this is an interesting area of future research. The ‘ழ்’ in Tamizh (‘yha’ or ‘zh’) is a distinct syllable that lends it elegance, and must be pronounced correctly, at least by native speakers. The word ‘Tamizh’ is often interpreted as ‘nectar’, reminding us of the well known lyric ‘Tamizhkkum Amuthu-endru Peyar’. The Tolkappiyam appears to be the earliest work on Tamizh grammar, and was written by Tolkappiyar, a disciple of Sage Agastya who was one of the Saptharishis, and is considered to be the earliest Siddha. Great works in both Tamizh and Sanskrit were composed over the last two thousand years (at least). These works are too numerous to be covered here in depth, and we only provide a brief overview. The ancient epics of Tamizh include the Silapathikaram, Manimekalai, Sivaka Chintamani, Valayapathi, and Kundalakesi. Two of the greatest poets of Tamizhakam were Kamban, famous for Ramavataram, his version of the Ramayana, and Thiruvalluvar, the great Hindu saint who gave the world the Kural that contains wisdom filled teachings on the Purusharthas. The Kamba Ramayanam is considered the greatest epic of Tamizh culture and narrates the story of Rama’s avatar until his return to Ayodhya after vanquishing Ravana and freeing Mother Sita. All these works are treasures of Indian heritage. By design, itihasa retains the depth to provide answers to contemporary and future challenges faced by humanity. The powerful and chaste female character of ‘Kannagi’ in the Silapathikaram has had a deep and lasting influence on the Tamizh psyche since ancient times. Literature has since flourished under the patronage of the various native kings that ruled Tamizhakam over the centuries, many of whom were themselves artists and scholars. Some of these Sangam masterpieces would have been lost forever but for the tireless efforts of Sri U. V. Swaminatha Iyer, the Tamizh Thatha, in the 19th-20th century. Statue of Kannagi, by Balamurugan Srinivasan. Licensed under CC BY 2.0 via Commons. The bhakti of Shaiva Nayanars and Vaishnava Azhvars spurred a vast amount of exquisite Hindu literature. The great Shaiva compositions include contributions by illustrious men and women, including the Karaikkal Ammai (around 550 CE), and Tirumular (author of Thirumanthiram). 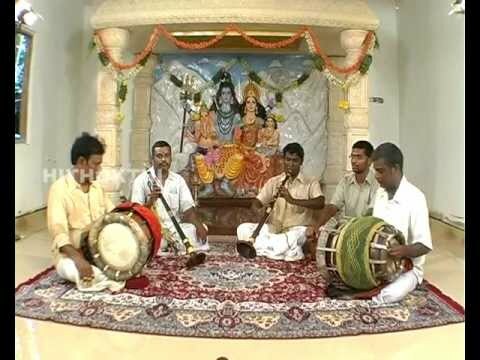 The famous Shaivite hymn collection known as ‘Devaram’ include the compositions of Tirunavukkarasu, (contemporary of Pallava king Mahendravarman), Tirugnana Sambandar, and Sundaramurthi. A Shaivite saint who is highly respected by the Tamizhs is Manikkavasagar who composed the Thiruvasagam. Sekkilar composed the ‘Periya Puranam‘ around 1140CE. Similarly, the Vaishnavite Azhvars composed great works in praise of Vishnu. The first three Azhvars are recognized as Poigai, Pudam, and Pey. The work of the great female Azhvar saint Andal is also revered. The Thiruppavai, a part of the Divya Prabandham, is a collection of Tamizh paasuram in the praise of Perumal (Bhagavan Vishnu). Many of the Vaishnavite works were also written in Sanskrit. Tamizh literature reached its golden era between 850-1200 CE and continued to flourish through the 17th century . During the time of Tirumala Nayakkar, the ruler of Madurai during the 17th century, the Shaivite scholar Sivaprakasar composed at least thirty works. His Purva Paksha of evangelical Christianity (reviewing and understanding its theology using a dharmic lens) after debating a missionary resulted in an Uttara Paksha (response) called ‘Esumada Nirakaranam‘. In the same tradition, the great scholar Arumuka Navalar of Sri Lanka started a comparative study of Shaivism and evangelical Christianity in the 19th century. His Uttara Paksha was titled ‘Saiva dusana parihara‘. He is also recognized for his pioneering research efforts in recovering the lost and forgotten Tamizh classic works. Over the centuries, Tamizh literature was enriched by Sanskritic influence, and in turn the Tamizhs brought their own distinct approach to enrich the world of Sanskrit. The high culture of all of India was Sanskrit. Historian Nilakanta Shastri  remarked that the literature of Southern India owed a great deal to Sanskrit, and the influence they exercised on one another was considerable since ancient times. Fleeting glimpses are provided in this section. 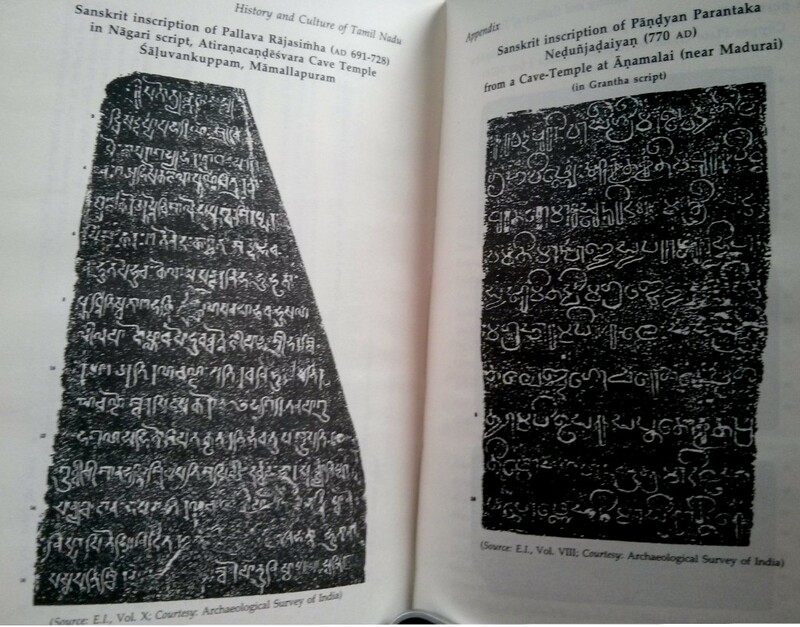 The dharmasutras of Apastamba (~300BCE) appear to have been influential. The Bhagavatha Purana was composed here around the 10th century CE. Sanskrit literature and studies peaked during the reign of the Pallavas, Pandyas, and Cholas. Several Sanskrit inscriptions during these times allow an accurate reconstruction of Tamizh history during these times and serve as a reflection of the level of Sanskrit literature during those times . The earliest inscriptions found are in Prakrit, and later Sanskrit, which was also the court language of the Pallavas. Some famous scholars who were patronized by their rulers include Dandin (who composed the Dasakumaracharitam) and Bharavi. The great Pallava King Mahendravarman, himself a great scholar and artist, composed notable works in Sanskrit, including a purva paksha  of Buddhism and Jainism from a Hindu perspective. The Sanskrit inscriptions indicate a deep knowledge of Vaishnavite concepts and Puranas. The Dasavatharam was well known to Tamizh poets since ancient times. The Ramavataram of Vishnu finds mention in innumerable inscriptions in the Tamizh land and his qualities are cited as a benchmark for Tamizh kings. Similarly, Lakshmi is cited as the ideal for queens. A very thorough understanding of Shaivite ideas can also be found within these Sanskrit inscriptions. Great importance was given to Sanskrit poetry and literature, and to the Vedas and Vedic scholars under the Chola rulers, and later, the Vijayanagara empire. Queens also composed great works. For example, the work ‘Madhuravijayam‘ by Gangadevi is of both literary and historical importance, for it records the victory of Kumara Kampana, the Vijayanagara prince who ended the tyrannical Madurai Sultanate, restored the primacy of dharma in Southern India, and revived the temple of Srirangam. The most important early works of the three schools of Vedantic thought (Advaita, Dvaita, Vishishtadvaita) originated in Southern India. It is important to note that Sanskrit was respected and used by some of the greatest Tamizh kings and queens, as well as by poets and scholars of all dharmic sects including Buddhist and Jain. It was used to convey the most profound ideas ever conceived of by mankind, resulting in great literary and scholarly contributions by the Tamizhs in two languages. Recent history has witnessed chauvinistic attempts to fabricate a false Sanskrit versus Tamizh conflict. Many politicians in India have bought into this approach, which has served narrow political interests but ended up denying a major part of Tamil Nadu’s own heritage: over two thousand years of priceless contributions to the world in the area of Sanskrit literature. Ironically, as we have seen, Tamizh flourished along with Sanskrit and other Indian languages in the region, and more than held its own in Southern India since times immemorial, and ensured high levels of literacy in its society. How can we preserve this glorious dharmic heritage for future generations? Here is a youtube video clip of a little kid on ‘Sun TV’ (scroll to 16:14) giving us a dharmic context for each number in Tamizh from 1 to 10, taught to her by her Paati (grandma). This is a good example of how our shared kalacharam can transmitted orally from generation to generation. Pandavas (Dharman, Bheeman, Arjunan, Nakulan, Sahadevan). It is worth noting that the contributions to literature have come from many classes of the society, and from both genders, including Rishis, kings, queens, Vedic scholars, merchants, artists, and artisans. The various languages lived and thrived in mutual respect. For example, many people who speak the Saurashtra language migrated to, and made Tamil Nadu their hom,e more than a thousand years ago. They continue to thrive to this day and enrich Tamil Nadu with their craftsmanship. The Kural lays great stress on education for all, and Vidyadhaana (gift of knowledge) was recognized as among the highest forms of giving . Thus the quantity and high quality of the literary output produced is not surprising. The ancient inscriptions praise the Tamizh kings as scholars. Among them, the great Pallava king Mahendravarman appears to occupy the prime place, and was known for his talents in many disciplines including literature, painting, and music. Even the military genius, Rajendra Chola, was well-versed in the Vedas. Similarly, some of the Pandya kings were also highly knowledgeable. The Tamizh kings knew the ethical and unifying value of Hindu works like the Itihasas – Ramayana, Mahabharata, and the Puranas that were understandable to all people. During the Pallava period, the ‘Ghatikas‘, ‘Mathas‘, and ‘Vidyasthaanas‘ were important educational institutions, supported directly or indirectly by the rulers. Chitra Madhavan  notes that “the underlying unity of India’s ancient culture was due, in no small measure to these methods followed the rulers to spread culture among the people“. The merchants of Tamizhakam  also donated liberally to dharmic causes and were noted for their generosity. They were literate and counted several famous poets among their ranks. For example, Sattanar, a grain merchant was the author of the great Tamizh epic Manimekalai. Nampudanar, a gold merchant was the author of the Mullaipaattu, one the of ten poems of the famous Patthupaattu. The great Nakkirar (immortalized in popular culture by the movie classic ‘Thiruvilayaadal’ ) belonged to a conch-cutting family. ‘Siddha’ is a Sanskrit word that roughly means ‘fulfilled’ . A siddha is an accomplished Yogi, and these Yogis created a vast and powerful knowledge system that is revered in the Tamizh lands. Agastya is considered the primary Siddha. Siddha medicine is recognized and practiced to this day. Kundalini Yoga originated in Tamil Nadu and is well-known all over the world. Tamizh literary tradition recognizes eighteen Rishis as the foremost Siddhas , including Agastya, Tirumular, Patanjali, Bogar, among others, as well as the lady Kudambai. Also, the Siddhas accord a very high place to the illustrious lady saint Avvaiyaar, whose verses are taught to Tamizh kids to this day. The message of the Siddhas is expressed in a poetic form using the ‘Sandhya Bhasa‘, what is termed by some as the ‘twilight language’, whose deepest and truest intent can only be understood by the initiated. The Siddhas practiced Tantra Yoga, and this has led to some misunderstanding, of the true intent of Siddha, whose approach is Adhyatmic, and focused on self-realization. This approach is world-affirming, and seeks to improve the quality of life of all the people in their present lifetime, and not world-renouncing. The techniques developed by the Siddhas are rooted in Hinduism, but are available to all of mankind, regardless of their belief and occupation. As T. N. Ganapathy notes in , “the method of Kundalini Yoga, their ethical precepts, their system of medicine, and above all, their simple language intended to convey what they wanted to convey, from the positive aspect of the arruppadai concept” (the idea of showing the path to one and all). Tamizhs have more than a two thousand year recorded history of artistry and craftsmanship. For example, Arikamedu was a global manufacturing hub for stone and glass beads even before the common era. Tamizhakam exported textiles, beads, precious metalwork, etc. to several countries including ancient Rome. 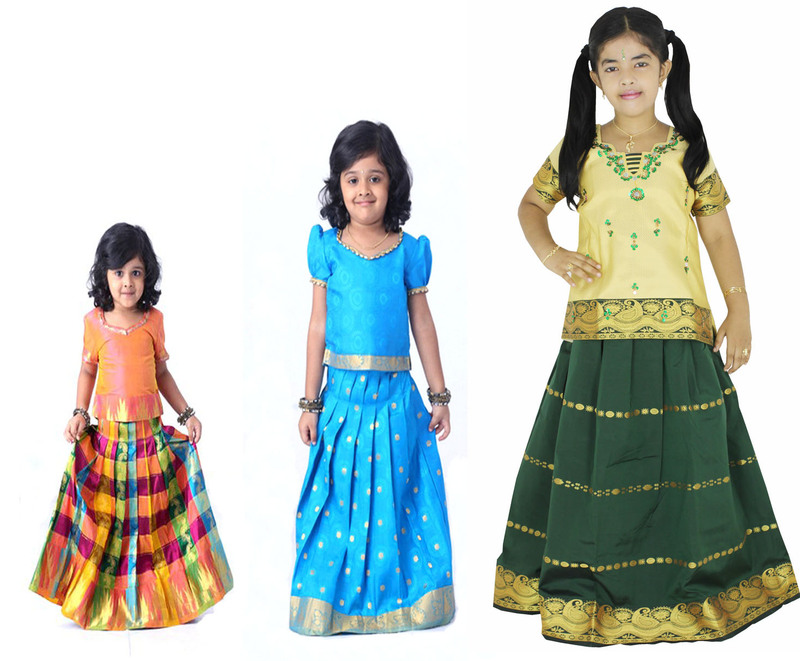 The cotton fabric exported from Tamizhakam to Rome and other countries were recognized to be of the finest quality. Vajra: How should I make the forms of gods so that the image may always manifest the deity? Markandeya: He who does not know the canon of painting (citrasutram) can never know the canon of image-making (pratima lakshanam). Vajra: Explain to me the canon of painting as one who knows the canon of painting knows the canon of image-making. Markandeya: It is very difficult to know the canon of painting without the canon of dance (nritta shastra), for in both the world is to be represented. Vajra: Explain to me the canon of dance and then you will speak about the canon of painting, for one who knows the practice of the canon of dance knows painting. Markandeya: Dance is difficult to understand by one who is not acquainted with instrumental music (atodya). Vajra: Speak about instrumental music and then you will speak about the canon of dance, because when the instrumental music is properly understood, one understands dance. Markandeya: Without vocal music (gita) it is not possible to know instrumental music. Vajra: Explain to me the canon of vocal music, because he, who knows the canon of vocal music, is the best of men who knows everything. Markandeya: Vocal music is to be understood as subject to recitation that may be done in two ways, prose (gadya) and verse (padya). Verse is in many meters. Thus, Indian art, including temple architecture, painting, music, or dance is also an encoding of dharmic concepts, as mentioned in the introduction. The interested serious reader is referred to the works of Dr. R. Nagaswamy , the founder-director of the Tamil Nadu Archaeology department. We consider some more examples of Tamizh art in the next section after briefly discussing the tradition of craft-work. Tamil Nadu is famous for its Tanjore (Thanjavur) paintings, a brief discussion of which can be found in our ‘vignettes’ page. 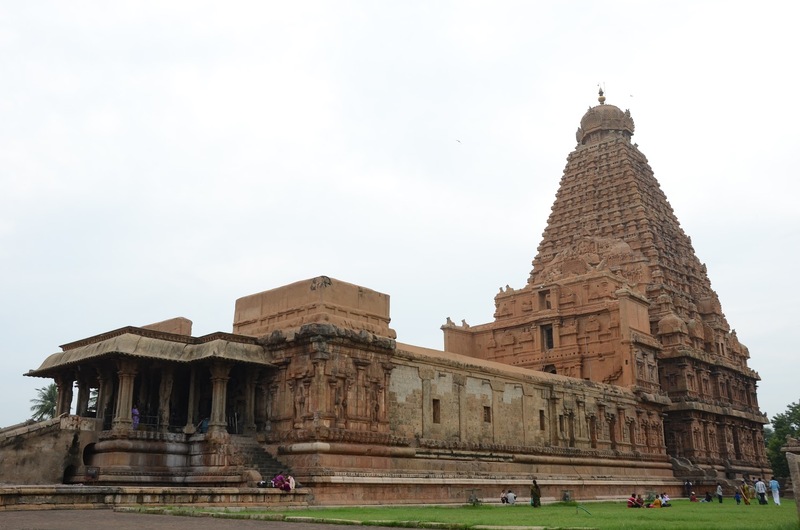 When we think of architecture, we immediately think of Tamil Nadu’s magnificent Kovils (temples). The history page notes how these temples were more than just a structure for Poojas and Murthis. They were centers of dharmic, social, and economic activity in the Tamizh lands in keeping with Hinduism’s integral approach to life. There is enough to talk about the temples to fill several pages. We present a brief overview here. Historian Nilakanta Shastri traces Hindu temple architecture in Tamizhakam to the early brick temples of the Ishvakus (no later than 400CE). Later the Pallavas initiated the transition from rock-architecture to stone-structured temples. The rock-architecture was started by the great Pallava king Mahendravarman, and this was later followed by the construction of the famous shore temples at Mahabalipuram that include rock-cut, as well as structural temples. The Cholas inherited and continued the Pallava tradition. Raja Raja built the Shiva temple at Thanjavur (1009 CE) shown below, while the temple at Gangaikondacholapuram was built by his son, Rajendra. 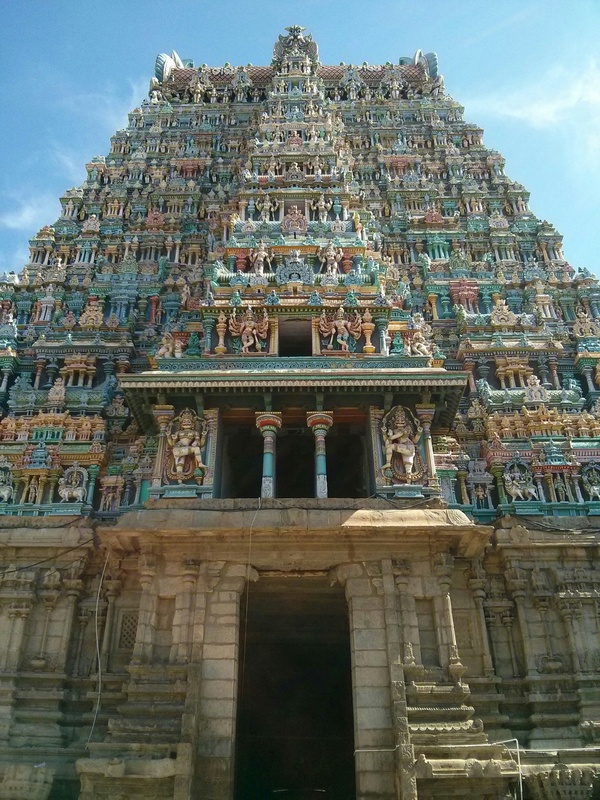 The Pandyas continued this Tamizh tradition of temple building, extending the outlying portions of existing temples. The Vijayanagara period witnessed some of the most exquisite Southern Indian architecture in keeping with a key goal of their kings – preservation and restoration of dharma in the midst of a relentless onslaught by the invaders who practiced a militant form of Islam. The capital city of Hampi was possibly the greatest city in the world during the reign of king Krishnadevaraya in the 16th century. Prince Kumara Kampana’s victory in Madurai ended the Madurai Sultanate, and this enabled the restoration of the deity at the temple of Srirangam. Toward the end of their era, the Vijayanagara architecture was known as the Madura (Madurai) style and was encouraged by the Nayaka rulers, who extended the temple at Srirangam, and reconstructed the Madurai Meenakshi kovil that was destroyed by invaders in the name of Jihad. Today, the temples of Tamil Nadu continue to thrive, and Tamizhs offer puja there in increasingly large numbers. For example, the famous hill-temple of Murugan (Sri Subramanya Swami) in Pazhani attracts a massive number of devotees and visitors every year. “Bronze siva” Venu62~commonswiki assumed. Licensed under Public Domain via Commons. As an example of the Cognitive/Neurological science within Indian art, we examine the ‘peak shift effect’ within the Chola Bronze sculptures that can intensify the Rasa, as explained by Prof. V. S. Ramachandran, who is originally from Tamil Nadu. small subset of such principles underlying artistic experience. An everyday example of the sophisticated simplicity of dharmic encoding within Indian art is the Kolam. These are curved line patterns drawn on the ground by the women of Tamil Nadu and Southern India every morning in front of their houses after sprinkling water and cleaning the ground. Traditionally, this is done using rice flour and is not intended to be a permanent design. Over the day, birds, ants, and tiny insects would feed on it, and the wind and footsteps would disturb it. The kolam is eventually erased, and the whole cycle is repeated the next day, and the kolam is reborn. The patterns themselves are quite fascinating and have deep cosmological and mathematical properties. In the words of a Japanese researcher : “In southern India, there are many great female mathematicians who solve a complicated line pattern every morning, with white rice powder on the ground. The pattern is drawn around a grid pattern of dots so that the lines minimally encircle each dot, which is so called “Kolam” pattern in Tamil.” Recently, researchers at SASTRA university in Thanjavur patented a steganographic method (encrypting and transmitting data using an image or pattern) , using a ‘Pulli (dot) kolam’. In general, we can observe a recursive generating rule pervading Indian art, and a similar inductive approach in various fields such as linguistics (Panini’s rule generation for grammar), and mathematics (Pingala’s Mount Meru, Hemachandra series, etc.). The serious reader of Indian art is referred to the research papers of Professor Subhash Kak and Kapila Vatsyayan. 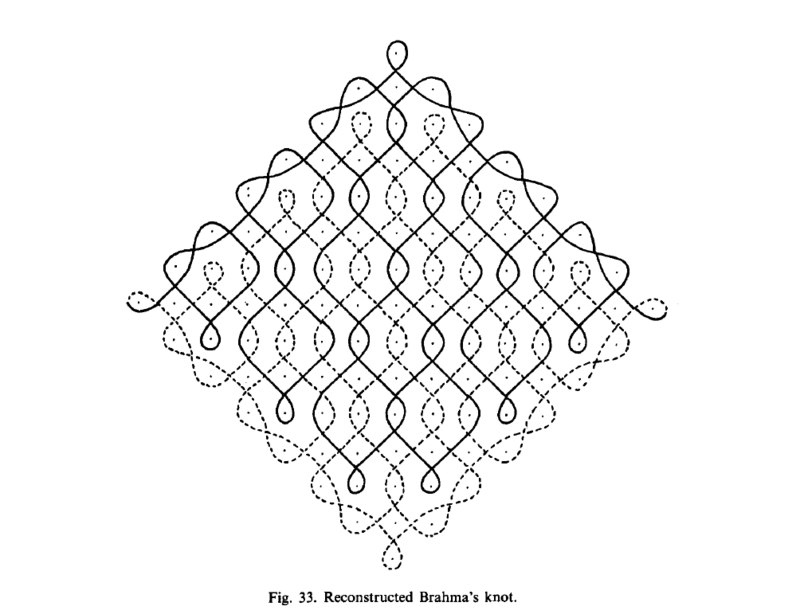 Some mathematicians with expertise in the so-called ‘ethnography’ who have studied the kolam designs in depth have concluded that in its original form, a kolam is to be completed in its entirety by employing a single, unbroken, curved line . From a dharmic perspective, this requirement appears to capture the property of integral unity: In reality, the externally visible plurality of designs in a kolam have no independent existence of their own, but exist within and as a single line (cycle) having no beginning and end, i.e., the Brahma Mudichchu, or Brahma’s knot. Over time, as the tradition of kolam drawing was passed on from generation to generation, and the quality of information transmitted degraded, multiple independent lines began to be used to complete a kolam. However, mathematicians were able to recreate elaborate integral kolam instances (e.g. see the design below from ) by employing the principles of symmetry and recursion. We observe a similar reconstruction of a lost tradition in the subsection on dance. This cosmic knot that binds the three sacred threads worn by the Brahmachari, as well as the joining of the ends of the garments of the bride and groom during a Hindu marriage ceremony, symbolizing their seamless unity, are other instances of a Brahma Mudichchu. Several musical instruments were popular in the Tamizh land since ancient times, including the veena (India’s national instrument). India had master metallurgists who were adept at several kinds of metal works, including wire drawing . They manufactured fine wires of bronze, brass, etc. that were strong enough to be stretched taut and used in stringed instruments like the veena. This was achieved by annealing the metal wires in slow heat using burning cow dung cakes, before the process of wiredrawing. The different strings of a musical instrument requires different diameters, and to be able to achieve this specification requires the highest level of precision and skill, and the ancient Indians were brilliant engineers and manufacturers. Tradtitional musical instruments employed today include the Nadaswaram, Mridangam, Ghatam, Kanjira, Morsing, and the Violin (which was pioneered by Baluswami Dikshatar, the brother of Muthuswami Dikshatar). In recent years, Prasanna, a descendant of the Ganita genius Srinivasa Ramanujan, has mastered the use of the electric guitar in Carnatic music. The concept of ‘Rasa’, the inner emotion that is evoked within a person experiencing an Indian performance, is fundamental to understanding and appreciating Indian art and music. We already learned a bit about this in the section on ‘science within Indian art’. The aficionados of Indian art, dance, and music are known as ‘Rasikas’. In his book ‘Being Different’, Rajiv Malhotra states: “The Natya-shastra (the seminal text on performing arts and aesthetics) treats ‘natya’ as the total art form, including representation, poetry, dance, music, make-up and indeed the whole world. It is an organic and integral view encompassing the Vedic rituals, Shaivite dance and music, and the epic tales. The eight traditional rasas (love, humour, heroism, wonder, anger, sorrow, disgust, and fear) mirror the real world and come together in pursuit of the ‘purusharthas’ (human goal)“. Indian music is not based on written scores and sheets, but is transmitted vocally in person by the Guru as the living embodiment, to Sishya as part of a direct anubhava. We briefly talk about Karnataka Sangeetam (Carnatic music) here. The seven pure notes (saptha swarangal) of Carnatic are: Sa (Shadjamam), Ri (Rishabham), Ga (Gandharam), Ma (Madhyamam), Pa (Panchamam), Dha (Dhaivatam), and Ni (Nishadam). Purandara Dasa (15th century) is considered the father of Carnatic music, which is primarily a vocal music form. 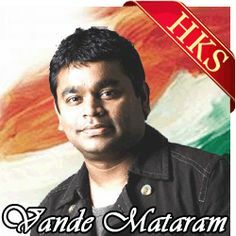 He also influenced Hindustani music. The great trinity of Carnatic composers include Sri Thyagaraja, Muthuswami Dikshatar, and Syama Sastry. Today, the December Carnatic music season in Chennai features Kutcheris (concerts) by hundreds of renowned artists. Similarly, the Thyagaraja Aradhana festival is celebrated every January in honor of the saint. The great work done by Bangalore Nagarathnamma in preserving the memory of Thyagaraja is praiseworthy. The composition ‘Kurai Ondrum Illai’ in the video below was written by the great Rajaji (C. Rajagopalachari), and sung by M. S. Subbalaskhmi. Carnatic compositions are sung in a variety of Ragas. A brief description of Raga by A. Coomaraswamy is given below. “…The raga may be best defined as a melody-mould or the ground plan of a song. It is this ground plan which the master first of all communicates to the pupil; and to sing is to improvise upon the theme thus defined. The possible number of ragas is very large, but the majority of systems recognise thirty-six, that is to say six ragas, each with five ragims. The origin of the ragas is various: some, like Pahari, are derived from local folk-song, others, like Jog, from the songs of wandering ascetics..” Each raga is associated with a particular time of day. Some popular Carnatic Ragas include Hindolam, Mohanam, Kalyani, Shamukhapriya, among others. Another delightful and distinctive feature of Carnatic music is the elaborate and delicate microtonal grace ‘ornamentation’ (Gamakam). It may be of interest to note , which compares and contrasts the Katapayadi numerical representation system of Ganita and its application using Carnatic Ragas, with modern day Hashing techniques. We close with a brief commentary on a key difference between Western music and Indian Sangeetam. The sapthaswarangal have a 1:1 correspondence with the seven chakras identified by dharmic systems. From  “The body itself is the temple, the abode of the Goddess.’ As such, she can be experienced as a series of currents, with seven focal points called chakras. A powerful psycho-spiritual concentration of Shakti known as kundalini lies dormant at the base of every person’s spine.” The swaras in a Raga can help activate and resonate with the corresponding chakras. The Rasika can benefit too. Analyzing Carnatic music as a discipline belonging to a purely ‘secular’ domain is reductionist, and tantamount to ‘digestion’ (refer to the education section in our science & tech page). The contemporary carnatic music scene has space for the classical exponents and their loyal Rasikas, as well as experimental Carnatic fusion genre. We discuss more about these developments in the ‘trends’ page. There are many dance forms popular in Tamil Nadu including both folk and classical. 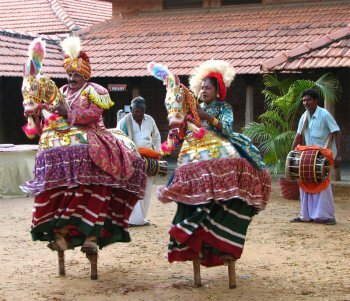 Kummiyattam, Kolattam, Karagattam, Mayilattam, etc., are examples of important and popular folk dances of the Tamizhs. Sadir was a dance form performed by the Devadasis who were, for centuries, the traditional temple dancers of Tamil Nadu before this sacred institution was first degraded during the Mughal era, and later demonized and destroyed by the colonialists and their missionaries . We briefly discuss Bharatanatyam here. 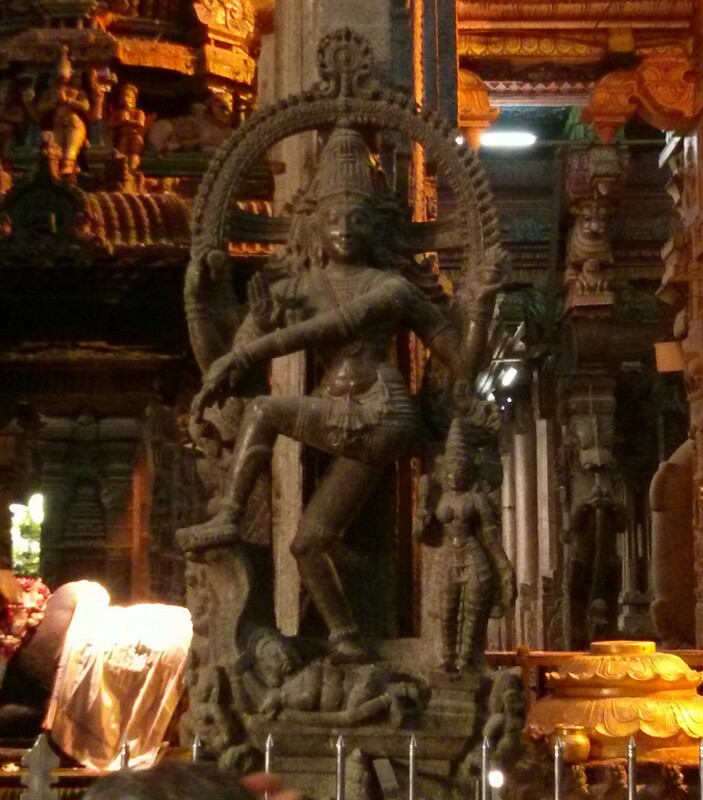 The classical Indian dance postures and forms appear to leap out of our beautiful temple sculptures. For example, the ‘Tribhangi‘ (three breaks) posture, as well as the ‘Mudras‘ (gestures) are well known features of Indian classical dance. We briefly discuss some points related to Bharata Natyam. This dance form came out of Bharata Muni’s Natya Shastra, which is central to Indian art. Bharata Muni employed features from all the four Vedas to compose this work. 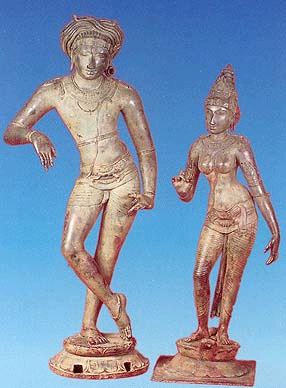 Dance is one of the sixty-four arts of ancient India. The sculptures at the Kailasanatha temple in Kanchipuram depict Shiva in several dance poses mentioned in the Natya Shastra. Many ‘Karanas‘ mentioned in this work that came out of Kashmir are also found within the sculptures in the temples at Thanjavur, as well as other places in Tamil Nadu. 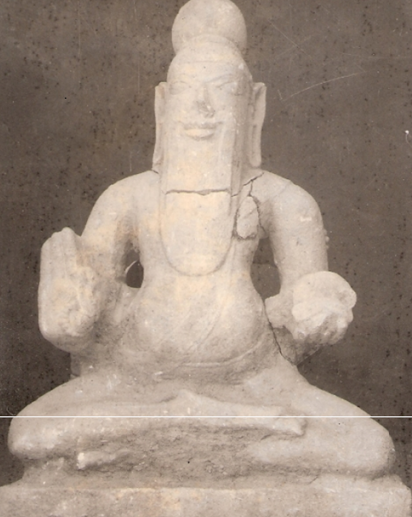 In particular, the sculptures at the Chidambaram kovil appear to be among the earliest to depict the Karanas of the Natya Shastra [12th century CE]. The temple dance tradition were respected and patronized by the Tamizhs for centuries before European missionaries under colonial rule perverted and eventually destroyed this sacred tradition. Thanks to the unity inherent in all dharmic art forms, Bharatanatyam was revived by Rukmini Devi Arundale (and Odissi was revitalized by Kelucharan Mohapatra). She started the Kalakshetra school of Indian art in Chennai. Side by side, Balasaraswati promoted the traditional art of the Devadasis. Bharatanatyam continues to thrive today and is well-recognized around India and the world, even as attempts have started to decouple sacred Indian dance forms from their dharmic roots and digest it into reductionist forms of ‘secular’ dance or the tragicomic ‘Christunatyam’ . Let us dive a bit deeper into the Hindu roots of Indian dance. The second excerpt describes Nataraja. “.. it will be necessary to describe the image of Sri Nataraja as typically represented. The images then, represent Siva dancing, having four hands, with braided and jewelled hair of which the lower locks are whirling in the dance. In His hair may be seen a wreathing cobra, a skull, and the mermaid figure of Ganga; upon it rests the crescent moon, and it is crowned with a wreath of Cassia leaves. In His right ear He wears a man’s earring, a woman’s in the left; He is adorned with necklaces and armlets, a jewelled belt, anklets, bracelets, finger and toe-rings. The chief part of His dress consists of tightly fitting breeches, and He wears also a fluttering scarf and a sacred thread. One right hand holds a drum, the other is uplifted in the sign of do not fear: one left hand holds fire, the other points down upon the demon Muyalaka, a dwarf holding a cobra; the left foot is raised. There is a lotus pedestal, from which springs an encircling glory (tiruvasi), fringed with flame, and touched within by the hands holding drum and fire. In popular culture, Shiva as the cosmic artist in the movie ‘Thiruvilayadal’, proclaims: when my music stops, so does the cosmos, and when I move, the cosmos moves. The textile industry of Tamil Nadu is famous and been an important part of the economy for thousands of years. Elements of traditional attire include Veshti (dhoti) for men, and Podavai/Chelai (Saree) for women. Additional details can be found in the ‘trends‘ page. Producing traditional Indian textile products required a great deal of skill, improvisation, along with a keen sense of aesthetics. For example, the manufacture of gold and silver Jarigai (zari borders) in Saris and Veshtis requires a mastery of wire-drawing . The exquisite quality of fabric exported to ancient Rome has been recorded by historians. We can also observe fractals and recursive patterns within fabric designs (which is also seen in kolams and kovil gopurams). Today, Tamil Nadu’s Kanchipuram Pattu Podavai (silk saree) is world famous and is a symbol of grace and elegance. The Tamizhs have taken a keen interest in sporting events since ancient times. ‘Jallikattu’ (‘bull hugging’) is a popular event during Pongal, and a part of Indian culture since ancient times. source: http://www.thehindu.com/todays-paper/article1178177.ece along with the following caption: “A seal made of stone, found at Mohenjodaro, depicting “jallikattu” (bull-baiting) that was prevalent in the Indus Civilisation. The seal, about 4,000 years old, is on display at the National Museum, New Delhi”. Tamizhs have a long history of excellence in martial art. For example, it is widely recognized that Bodhidharma, a Tamizh prince in the 5th century CE, traveled to China, bringing with him the knowledge of Zen (dhyan) Buddhism, and martial arts. An important facet of Tamizh martial art is ‘Varma Kalai’, the art of the vital points. 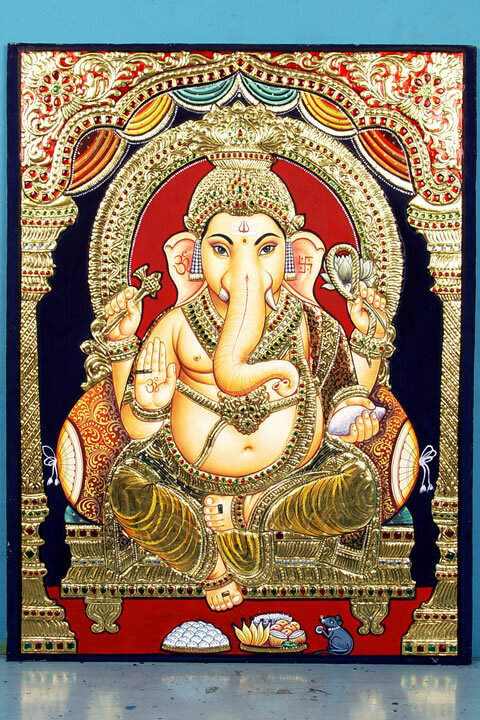 This art has additional applications in physiotherapy, medicine, elephant training, etc., and is said to have been introduced by Sage Agastya, who is considered the pioneer of the Siddha knowledge system. In popular culture, the Tamizh movies ‘Indian’ (1996), and ‘Ezham Arivu’ (2011) bring attention to these ancient Tamizh knowledge systems. Malayutham is one the 64 ancient arts, involving full-contact grappling. ‘Silambam’ is another ancient Tamizh martial art that is performed using the bamboo staff. Silambam is referenced in the Sangam epics and is traced all the way back to Sage Agastya. The soldiers of freedom fighters like Kattabomman used Silambam to fight against the British, who banned its practice. In the modern era, the Tamizhs have excelled in contemporary sporting events, even as traditional Indian sport like Kabaddi, Chess, and Kho-kho continue to be popular. TN has a great tennis tradition, producing India’s most successful Grand Slam singles players. Chennai is home to the only ATP tennis event in South Asia. In National competitions, the Tamil Nadu Ranji cricket team has generally flattered to deceive, often ending the tournament as runners-up despite fielding very strong teams, and have won the trophy twice. However, when it comes to Basketball and Volleyball, the story is different, and TN has established a dominating presence over the years. We discuss more about contemporary sport in the trends page. An incomplete list of well-known sports-persons from Tamil Nadu is provided below. “Vishy Anand” by Stefan64. Licensed under CC BY-SA 3.0 via Commons. Tamizhs have used their Hindu calendar since ancient times, and several Pandigai naal (festival days) are calculated using this Tamizh calendar. Festivals are often tied to the change in seasons over the year, and represent a celebration of nature and thanksgiving to mother earth. If we examine this a bit deeper, we can view the gaiety and festivities over a short duration as a recurring, temporary crossover of society into chaos prior to a restoration of order . The Tamizh Varusha Pirappu (Tamil new year) typically falls around April 14 and is celebrated by Tamizhs all over the world. Farmers rely on this calendar to plan their activities. An important and distinctive festival of all the Tamizhs, and one that has special significance for farmers is ‘Pongal’, the harvest festival in January, which coincides with ‘Makara Sankranthi’. 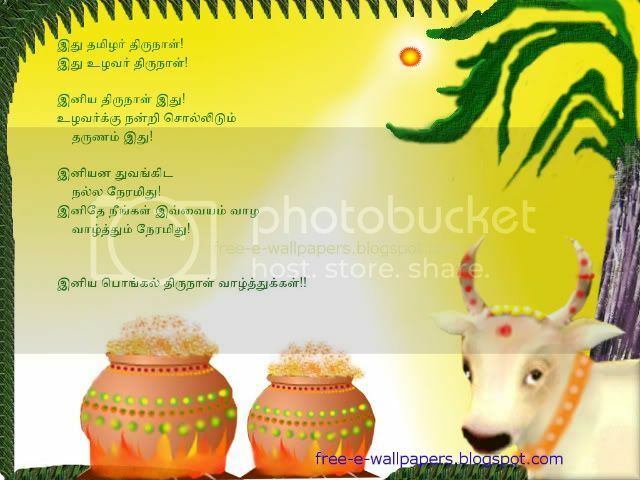 Other festivals celebrated include ‘Karthikai’, Pillayaar Chaturti, and Deepavali, etc. Given the micro-narratives within the Tamizhs, its cuisine is not homogeneous, and we can observe variations across geography, communities, and sub-communities. Festival and Tamizh Kalyanam (wedding) cuisines have their own special way of preparation, and are events unto themselves. Some popular Tamizh cooking recipes can be found here. Here’s our storify from the World Culture Festival 2016. Some delicious pictures from Traditional Tamizh Cuisine (via storify). Tamizh Cinema and dance/drama (Natyam/Naadakam) has occupied its own distinct place within Indian fine arts. The Tamizh stage acting tradition is more than an millennium old, when the Silapathikaram (this Tamizh epic is also one of India’s oldest dance dramas ) was enacted. Street plays known as ‘Therukoothu‘ staged scenes from the Ramayana and the Mahabharata. In this section, we briefly trace the history  of drama troupes that later influenced Tamizh cinema, which in turn, led to the entry of cinema artists into politics, who have had a massive impact on Tamil Nadu over the last half a century. Most Tamil Nadu Chief Ministers over the last 40-50 years were part of the drama and movie industry. In 1891, Pammal Sambandha Mudaliar, the father of Tamizh drama tradition started the Suguna Vilasa Sabha. In 1910, Sankaradas Swamigal’s ‘Boys Company’ staged plays including ‘Valli Thirumanam’ which had K B Sundarambal and S G Kittappa in the lead. Actress K B Sundarambal later became a member of TN Legislative Council, being perhaps the first among the actors to enter politics and public service. The ‘Boys Company’ in turn gave birth to drama troupes of the TKS Brothers, who staged plays like Kalvanin Kadhali, Avvaiyaar, etc. This drama troupe nurtured many an actor who would break into cinema, including NSK, S V Sahasranamam (SVS), and Kamalahaasan. Later SVS formed his own group and staged ‘Paithiyakaran’ which had the legendary MG Ramachandran in a supporting role, who would go on to become the chief minister of TN. In the 1940s and 50s, dramatizations of the literary works of Devan and Kalki, such as ‘Thuppariyum Sambu’ and ‘Kalvanin Kadhali’ were popular. At his juncture, the Dravidianists entered the stage. CN Annadurai (later chief minister, and the ‘Anna’ in the ‘AIADMK’) began staging political plays using the theme of social justice to sway public imagination and emotion. In one such propaganda play, a young actor Ganesan, who played Shivaji, earned praise as well as the title ‘Sivaji’ from EV Ramaswamy. By the end of the 1950s, the pure drama approach waned with the National Theater of RS Manohar being its last representative. New playwrights like K Balachander, and Cho Ramaswamy became popular, and the stage plays were adapted into movies, and became immediate hits. K Balachander would go on to become one of great Tamizh film directors and is also remembered for introducing several popular actors to movies, including Rajinikanth and Kamalahaasan, among others. The popularity of Tamizh theater has reduced but remains alive. Comic acts by S V Sekar and ‘Crazy’ Mohan continue to draw audiences to this day. The silent movie ‘Kichaka Vadham’, an episode from the Mahabharata, appears to be the first Tamizh movie made for public viewing in 1916. Several movie studios came up in Chennai, such as the famous Gemini studios founded by S. S. Vasan, and AVM, which is the oldest surviving studio in India. These studios made a number of movies in Tamizh, Hindi, and Telugu. The first Tamizh talkie ‘Kalidasa’ was made in the 1930s. The beautiful and divinely gifted M. S. Subbalakshmi became a national and internationally recognized personality after enacting the role of the Bhakti saint ‘Meera’ in 1945. This Tamizh film ranks among the greatest Indian movies ever made. Her song ‘Kaatrinile Varum Geetham‘ from this movie was written by the famous Tamizh writer ‘Kalki’ Krishnamurthy. By the late 1950s, popular theater plays were adapted into movie screenplay, and the latter zoomed to popularity, capturing the imagination of the Tamizh public. The movie industry attracted an array of talented theater actors, actresses, music directors, singers, and technicians. The public was captivated by the lyrics of poets like Kannadasan, the music of composers like M.S. Viswanathan, and many renowned singers. Here is a video medley from ‘Karnan’ that has several of these greats coming together. The power of this medium was recognized and exploited to the hilt by Dravidianist ideologues like Annadurai. Actors like MGR and Sivaji Ganesan were roped into their DMK political party and cast as leading actors, and on-screen propaganda translated into votes during election time. MGR later broke away to form his own party AIADMK, toned down the Hinduphobic rhetoric on-screen, and proved unbeatable until his demise. The leading lady in several MGR movies, J Jayalalitha, is the incumbent Chief Minister of Tamil Nadu (2016). Today, the Tamizh movie industry is one of the biggest in India, and continues to produce a lot of talent, and entertain Tamizh audiences all over the world. Here’s a song “Kakkai Chiranginile‘ composed on the words of Mahakavi Subramania Bharati, for the national-award winning Tamizh movie, Ezhavathu Manithan (1982). Contemporary Tamil movies are relatively less-entrenched in politics, although the line between on and off-screen reality is often blurred. This video clip set to Ilayaraaja’s background music features a couple of great actors, Kamalahaasan and Sridevi. 1. ‘A History of South India: From Prehistoric Times to the Fall of Vijayanagar’, by K.A.Nilakanta Shastri (1976). 2. ‘Being Different: India’s Challenge to Western Universalism’, by Rajiv Malhotra (2011). 3. ‘History and Culture of Tamil Nadu’ Volume 1 (up to AD 1310), Chitra Madhavan (2005). 4. ‘History and Culture of Tamil Nadu’ Volume 2 (up to AD 1885), Chitra Madhavan (2005). 5. ‘Indian Culture and India’s Future’, by Michel Danino (2011). 6. ‘Merchants of Tamilakam: Pioneers of International Trade’, by Kanakalatha Mukund (2012). 7. Art and Cosmology in India: Patanjali Lecture at the Center for Indic Studies, University of Massachusetts, Dartmouth, by Prof. Subhash Kak, 2006. 8. “The Science of Art: A Neurological Theory of Aesthetic Experience”, by V.S. Ramachandran and W. Hirstein (1999). 9. “The Dance of Siva”, essays by Ananda Coomaraswamy. 10. 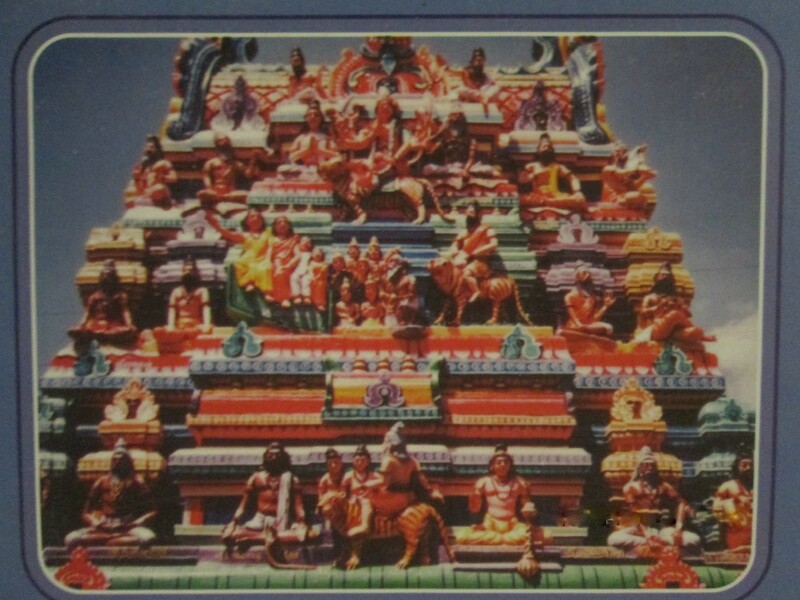 Daily News of Sri Lanka: essay on Hinduism (2011). 11. “Marvels of Indian Iron Through the Ages”, Infinity Foundation Series, by R. Balasubramaniam (2012). 12. Reconstruction and Extention of Lost Symmetries: Example from the Tamil of South India, P. Gerdes, Computers & Mathematics with Applications. Vol (17) (1989). 13. Solving Infinite Kolam in Knot Theory, by Y. Ishimoto, Okayama Institute for Quantum Physics, Japan. (2006). 14. The Yoga of the 18 Siddhas: An Anthology, edited by T. N. Ganapathy (2004). 15. Tamil theatre’s rich heritage, by N. Vinoth Kumar, The New Indian Express (2013). 16. ‘Non Random Thoughts’ blog, http://jayasreesaranathan.blogspot.com. 17. ‘The Ancient Katapayadi Formula And The Modern Hashing Method‘, by A. Raman. 18. ‘Breaking India: Western Interventions in Dravidian and Dalit Faultlines’, by Rajiv Malhotra and Aravindan Neelakandan (2011). 19. 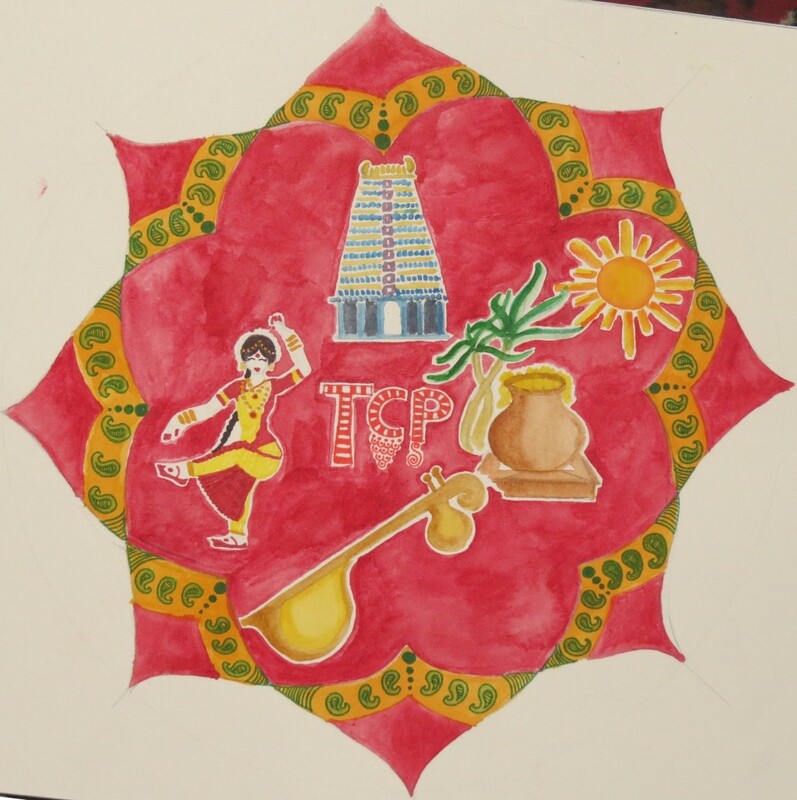 Tamil Arts Academy, by Dr. R. Nagaswamy.